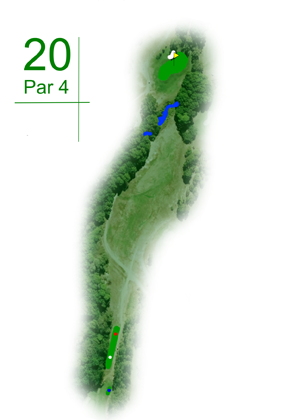 Difficult hole, trouble from tee to green with a creek 20 metres in front of the green which makes the lay up option more risky. The best way to play this hole is decide on your strategy after the drive. Bogey 5 not a bad score for all levels of player from the back tees.